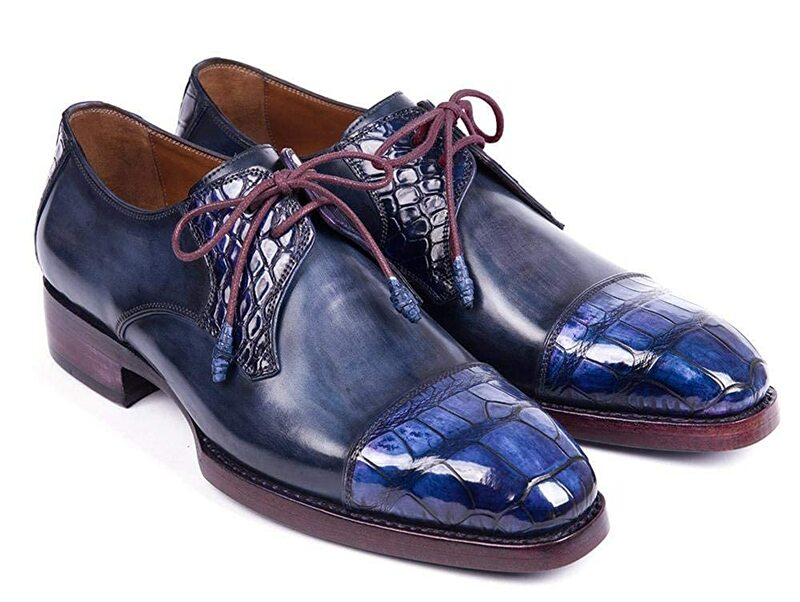 Bluegenuine crocodile and navy calfskin upper. Hand-painted, fiddle waistdouble leather sole. Camel colorleather lining and purple innersole. Captoe style exoticskin derby shoes. This is a made-to-order product. Please allow 15 days for the delivery. Because our shoes are hand-painted and couture-level creations, each shoe will have a unique hue and polish, and color may differ slightly from the picture.